At least not yet and maybe never. Will there ever be a turbocharged Subaru BRZ? Sure, if you’re willing to go out and modify the car on your own. The Japanese automaker has yet to confirm whether or not it’ll build a proper turbocharged BRZ STI. We all want it to happen, but patience is running out. So what are a few alternative options? Well, one could simply bolt on that aftermarket turbocharger, or they could do something a little more extreme. We recommend the second option. Presenting the supercharged Litchfield BRZ, a package which boosts output from a just acceptable 200 horsepower to 280. 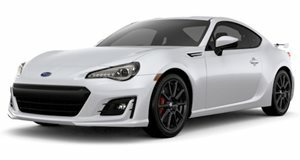 Combined with the tuner’s suspension kit and various other vital upgrades, this is the BRZ you want. So Subaru, take a note from these guys. At least they have a pair.